Questions about Elan Lighting 83386? 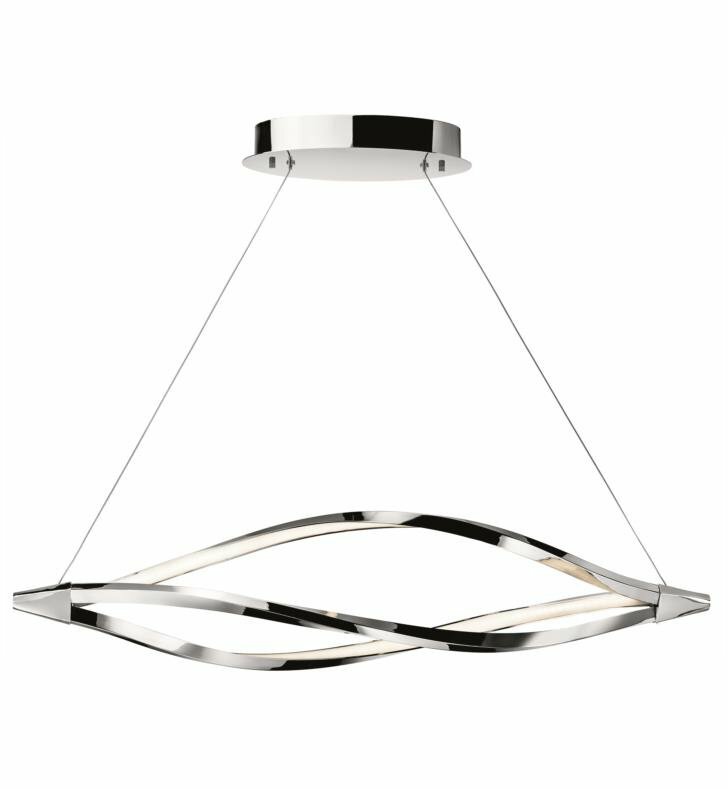 This Elan Meridian Island Pendant make a sleek and ethereal lighting statement. Three bars finished in glossy Chrome curve at different angles and feature the integrated dimmable warm white LED sources that make this artful design glow. It is suspended from the canopy by just two slender wires, one at each end. You can adjust the hanging height of the fixture. W 43 1/4" x D 11" x H 11"